I’m pretty sure my old computer’s hard drive has this picture on it. 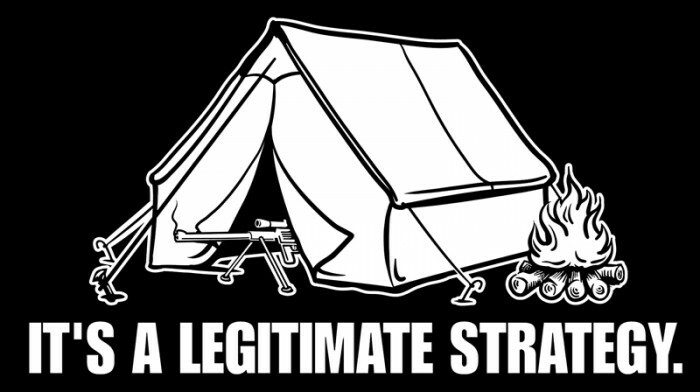 And my FPS gaming strategy. Sniping from a set position, covering a main avenue of travel? Totally legit. Hell, real world snipers do it (of course, they have the good sense to move around once an enemy hones in on their location). Spawn point camping? Different story.